It's Time to Get a Yoga Body! I love doing yoga in the morning to wake up my body and again at night to unwind from the day. Yoga is a great way to enhance your energy, build strength, and increase flexibility. 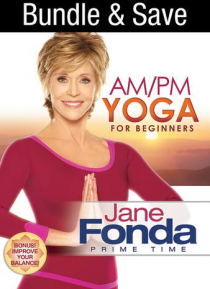 Join me for my series of three AM yoga workouts, designed to make you feel rejuvenated and energized, and two PM workouts that will help you relax, unwind, and release tension and stress.